ROAR! 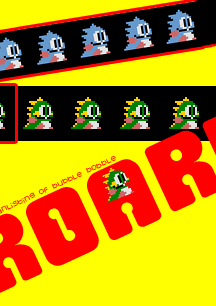 The Official Fanlisting for Bubble Bobble! Welcome to Roar!, the official fanlisting for the retrotastic Nintendo game, Bubble Bobble. If you enjoy dinosaurs turning monsters into fruit, this fanlisting may be for you. Opened July 9th, 2004. This website is part of the Gutterpunk Collective. 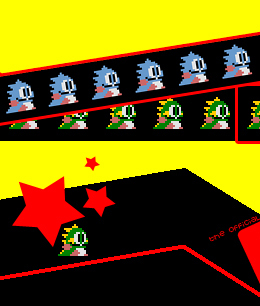 1) You must like the video game Bubble Bobble. 2) You don't need a website to join, but I at least need a real sounding name/alias, your country of residence, and a valid e-mail address. 3) If you do have a website, make sure to link back to this fanlisting on the main page or a fanlistings page. 4) I reserve the right to not list your webpage because of offensive material or if you don't link back. However, your name, e-mail, and country will still be listed.